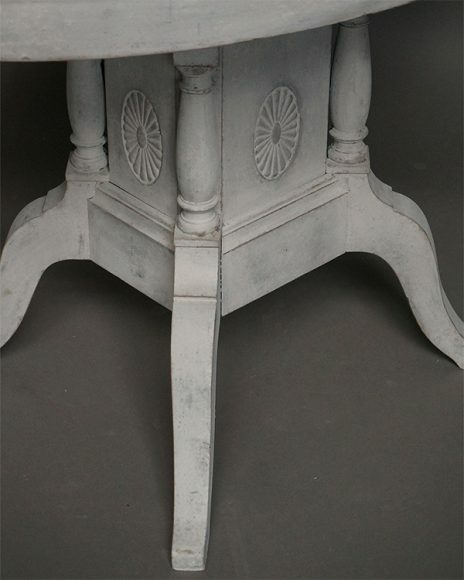 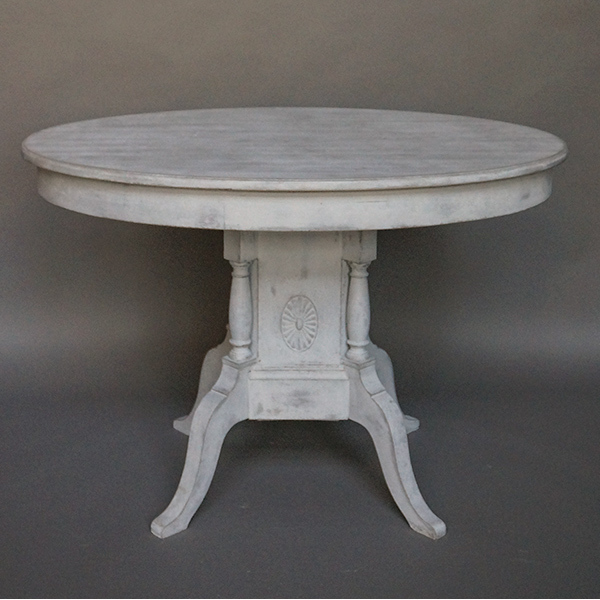 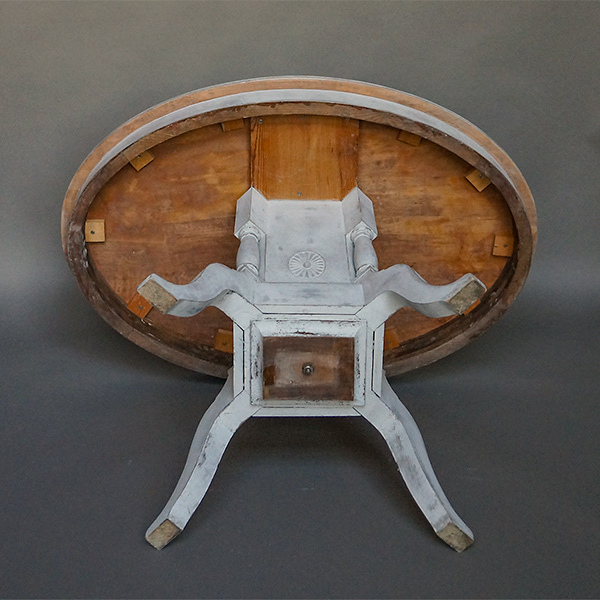 Pedestal table, Sweden circa 1910, with an oval top. 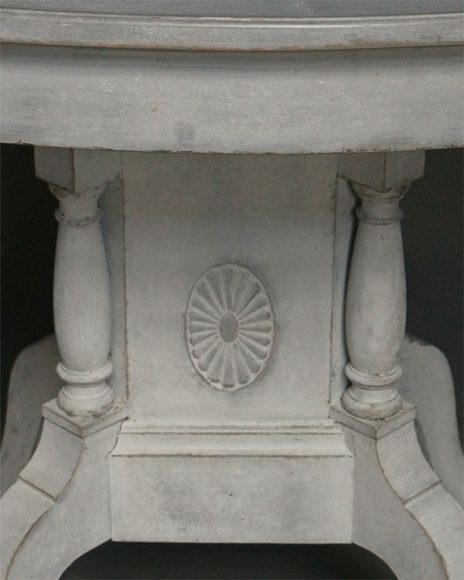 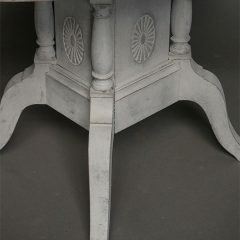 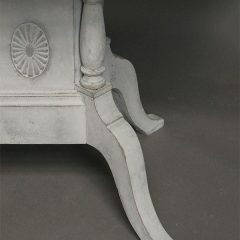 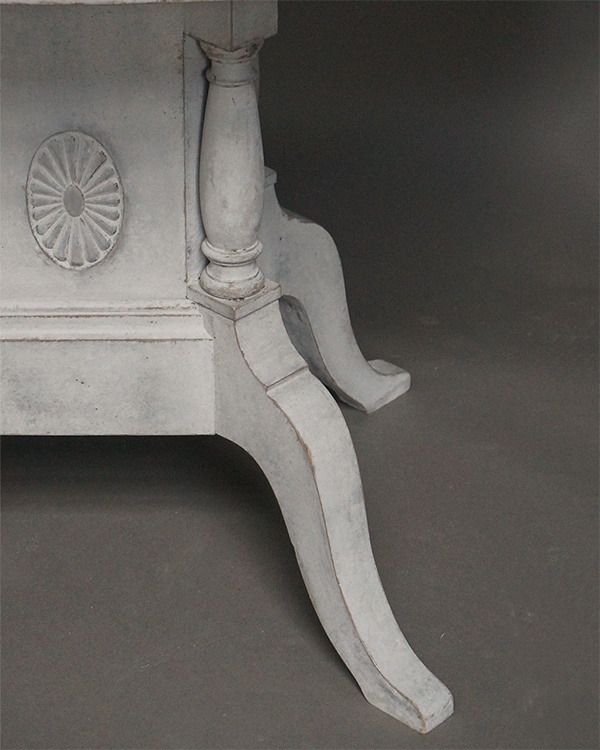 The pedestal itself is made from a solid block of wood with recessed rosettes carved into each of its four sides. 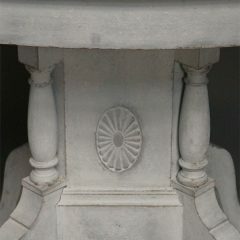 At the corners are full-round columns above the four curved legs. 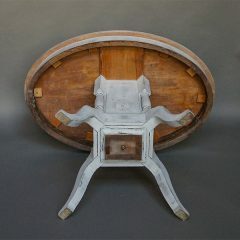 This very special piece would be perfect for tea.